Imagine having the world’s richest man as your Secret Santa. What gifts would you like to receive from billionaire tech mogul Bill Gates? 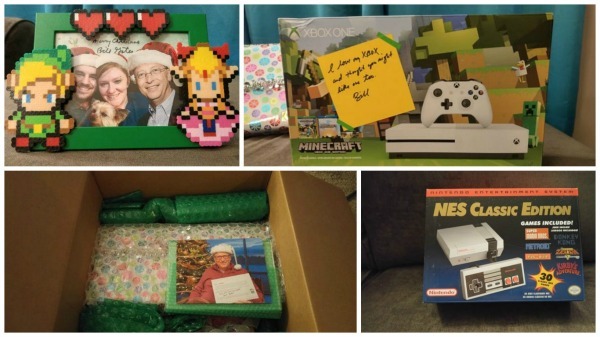 Lucky Reddit user Aerrix received her gifts from Microsoft co-founder and philanthropist through Reddit’s annual Secret Santa Exchange program. As expected, the gifts from the man with a net worth of $75 billion were totally awesome and Aerrix was generous enough to share the contents of her goodie box from Gates by posting photos of her haul on imgur.com. Gates didn’t disappoint Aerrix as he meticulously selected every single item on the gift package based on the receiver’s interest. We’re assuming that Gates did his homework and took time and effort to find out what stuff Aerrix love. 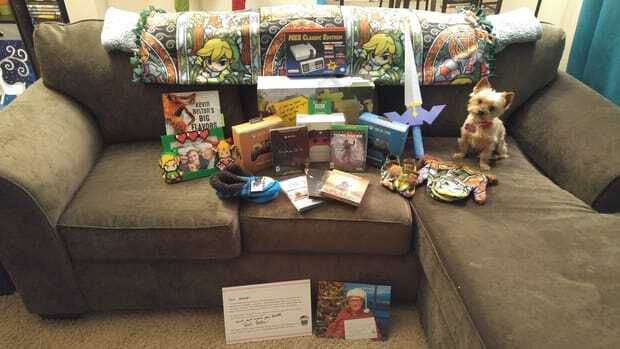 Among the cool items she received from Gates are matching Zelda mittens for her and her pooch, Minecraft edition Xbox One that comes with three wireless controllers, a pair of Harry Potter slippers, a Legend of Zelda master sword made out of paper, Cajun cookbooks, as well as a photoshopped picture of Aerrix, her husband and Gates put in an adorable Zelda frame. As if that wasn’t enough, Gates also made a donation in her name to code.org, an organization that helps students learn about computer science. “I'm just blown away by his generosity, which went even further than all these gifts because he submitted a donation to code.org in my name to give more students the chance to learn computer science, which is AWESOME because it's something near and dear to my heart as my husband is a programmer and my brother has a degree in computer science! “ Aerrix wrote. Gates has been participating in Reddit’s Secret Santa since 2013. Other celebrities like Snoop Dogg and Alyssa Milano have also taken part in the famous online forum’s Secret Santa exchange. We’re hopping Warren Buffet would join next year!